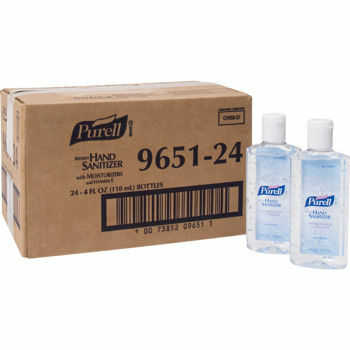 Features: Purell Instant Hand Sanitizer Flip Cap 4oz 24 bottles per case Kills 99.99% of most common germs that may cause illness Works in as little as 15 seconds No water or towels needed Specially formulated with moisturizers to leave hands feeling soft and refreshed Alcohol-based Flip Cap 4 fl. oz. 24 ct.
Standard shipping via UPS Ground is included in the quoted price. The estimated delivery time will be 1-3 business days from the day of order. Please note: Large orders may be shipped using an alternative shipping method which may change the delivery window to 1-4 days. Please be sure to inspect your order at time of delivery for any issues or damage and if possible note any damage with delivery driver.